Last December, the Afro-music spirit, as it often does, was on me. I don’t know what made it so intense this time around for me to go back to the great African music souls. It was a playlist that swept the length and breadth of the continent. I listened to Ismael Lo’s Dibi Dibi Rex and to the African Jazz Pioneers’ Skokian. I was taken further into this ancestral African savannah with Mirriam Makeba’s Patapata, Hugh Masekela’s Marketplace and a whole lot of African artists. 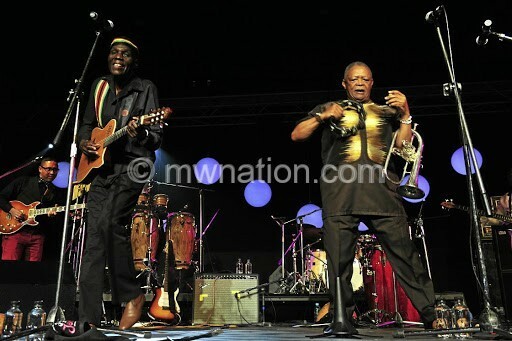 Oliver Mtukudzi and Hugh Masekela entertains music-lovers at the Standard Bank Joy Jazz Festival Sandton Convention Centre in Johannesburg at the weekend. Pic Veli Nhlapo@Sowetan. Then, my ears stopped at Oliver Mtukudzi. Tuku got my attention. It wasn’t any of his hit songs. It was Ninipa, from his Nhava album that I put on repeat. Not once or twice. Several times. Astounded. My interest was pricked. Before these lines, I heard Hugh Masekela mention Malawi somewhere in his earth-shaking Stimela song. Then, I also remembered Bra Hugh also had a song, Mwana Wakula. So there, listening to African music, and making a halt on Tuku gave me inspiration for an interrogation: What influenced the great African artists to include Chichewa in their songs? I thought Tuku would be my starting point, knowing Bra Hugh and Zamajobe may have been influenced by Erik Paliani, who was involved in their productions. Through a colleague (Albert Sharra) we tried to gain ground with a source close to Tuku in Harare. 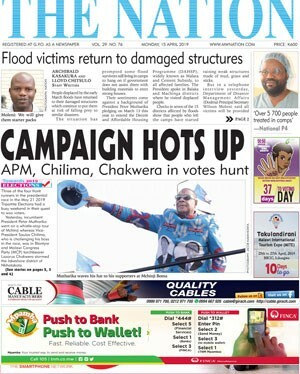 “You know, Tuku has been ill these days?” we were told that December morning. The story idea was shelved. Earlier this month, media reports indicated Tuku had cancelled a concert in the United Kingdom. Come Wednesday, January 23, the news of his death, aged 66 and while working on his 67th album, spread like wildfire. No water can put out that bushfire, for his music will continue living with us for generations to come. There is a deep connection between Malawi musical elements, especially the Lower Shire, with Zimbabwe and Mozambique. I have watched Joseph Tembo and Agorosso, both from the Lower Shire, curtain-raising Tuku. During the same event he told a director of ceremonies it was wrong to say Tembo curtain-raised Tuku, but rather the two shared the stage. I took that as Tuku’s way of saying no artist is bigger than the stage on which they perform! The mbira, an instrument that sets Tuku and some of his country folks’s music apart, is played in Nsanje. They also share the ulimba, the African keyboard! I first witnessed Tuku’s live electric performance in 2004 at the French Cultural Centre (FCC). He was still backstage when his band started playing. Then, still out-of-sight, he simply said in his booming voice onto the mic: “Heeeh! Todii!” Patrons to that Celtel-commissioned jive went agog! They were in for a show. He connected with the audience, and paid back with masterly by playing the acoustic guitar while dishing the deep lead vocals, iced with his apt dance moves. It was when he came to Bvuma, some songs later, that the political undertones were clear. Here is a song that was directed at Robert Mugabe, who led Zimbabwe since independence in 1980, saying he was too old to rule. Tuku is an example of how true one must be with their art. He was a fearless fighter for the social, economic and political rights of the masses no matter what system it was. With Thomas Mapfumo, he was an artistic symbol of the Zimbabwe liberation movement. Yet, that did not turn him into a Mugabe praise singer when the Third Chimurenga was won. Bvuma is the epitome of Tuku’s fight for the oppressed. It is without doubt his songs will continue to resonate in the minds of the down-pressed Africans suffering under the weight of police and military brutality. And, while we are at it, Hugh Masekela died on January 23 2018. Oliver Mtukudzi went to river on the same day, a year later. Is that a mere coincidence? Maybe I should stop wondering how and why Chichewa lyrics found their way into Tuku and Bra Hugh’s songs. Should I rather understand how much they tried to reach Malawi and the world with their universal language? I am happy the two left us songs to help us search our souls in this maze.